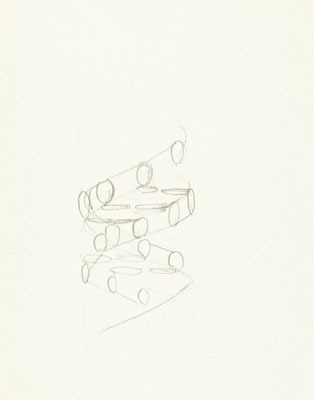 Pencil sketch of the DNA double helix by Francis Crick. Wellcome Images No. L0033046. 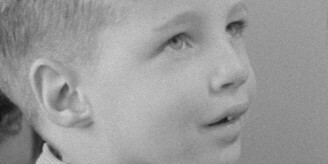 Over the last week, BBC Radio 4 have broadcast Images That Changed the World, a series in which Dr Mark Lythgoe explored the development of medical imaging techniques and their wider cultural influences. Credit: Wellcome Library, London. Wellcome Images No. B0004363. 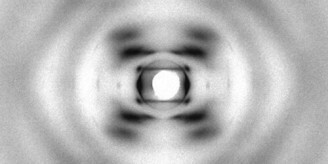 Double Helix, and featured contributions from scientists, authors and historians. Friday’s episode included commentary from Helen Wakely, Archivist, Wellcome Library on the images shown here: two early sketches of the DNA Double Helix, from the papers of Francis Crick held by the Wellcome. All the episodes are still available to listen to in the UK through the BBC’s iPlayer, and Dr Lythgoe can also be heard discussing the discovery and impact of X-Rays in this BBC audio slideshow.